News: The new F-150. Here it is! Thread: The new F-150. Here it is! The new F-150. Here it is! The 2015 Ford -150 is the best-selling vehicle in North America for 32 years in a row and it’s about to get a major overhaul. Unveiled today at the North American International Autoshow in Detroit, the new F-150 will be the first mass-market vehicle made of lightweight aluminum alloys, giving it a substantial weight savings. Ford says the truck will weigh almost 700lbs less than the previous model, allowing it to use a variety of smaller, for fuel efficient power plants while achieving the same performance. Official figures have not been released yet but rumors are of a 30 MPG (7.84 L/100 KM) highway rating. A new 2.7-liter EcoBoost with standard Auto Start-Stop and a 3.5-litre V6 engine with twin independent variable camshaft timing join the proven 3.5-liter EcoBoost and 5.0-liter Ti-VCT V8. The exterior has also been revamped to resemble the Ford Atlas Concept, first seen at last year’s Auto Show. 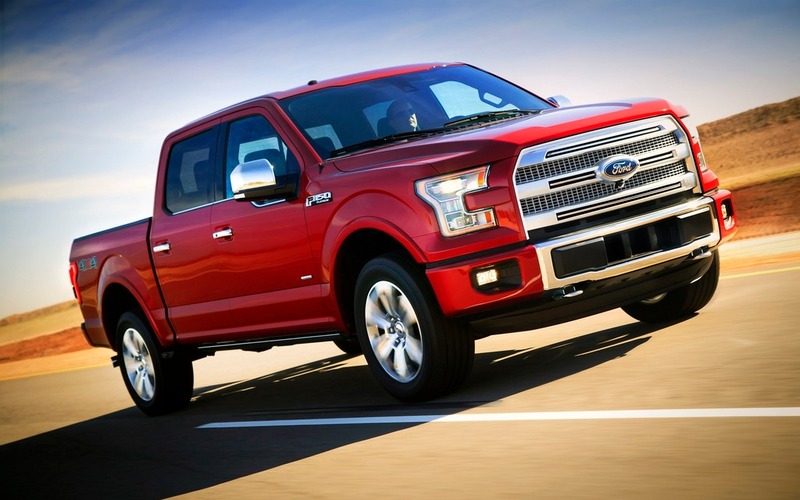 It sports a split-headlight design and a beefier front grille similar to Ford’s F-250 and F-350 models. The interior has also been given a facelift and is both wider and contains more head room than before. Buttons and controls are optimized so they can be operated while wearing work gloves. Storage options include laptop stowage in the center console, as well as quick storage solutions for cellphones, drinks, pens and business cards. • Boxside step, now available for the short 5.5-foot box.